Below are some links which might help you find some more information about pest control, treatment methods, and local rules and regulations governing pest control companies. The New York State Pest Control Association is a local pest control organization with resources about pest control techniques, MSDS and information sheets about chemicals used in the industry, and other industry news. Go to the NYS Pest Control Association site here. The National Pest Control Association is a national pest control organization with resources for both consumers, those in the industry, and other professionals. Go to the NPCA website here. 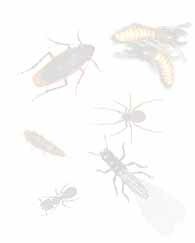 Certified Pest Control Applicators of Long Island. Go to the CPALI website here. PestWeb is a great site with a virtual museum of insect pictures, MSDS's and pesticide labels, and industry-specific links. Go to the PestWeb site here. FirstLine Termite Baiting is FMC Chemical's innovative termite baiting system. This site will explain the ins and outs of their advanced and innovative system which Nardy is a certified applicator of. Go to the FirstLine site here. The EPA is the national-level governing body which sets laws and enforces the operations of pest control companies above what state agencies like the DEC enforce. Go to the national EPA website here. Or go to the Region 2 EPA website here. The NYS Department of Environmental Conservation is the state-level governing body which dictates the rules and regulations under which local pest control companies must operate. Our workers have been certified as certified pesticide applicators and commercial pesticide applicators through NYS DEC certification courses and tests. Our animal trappers have been certified through the DEC Department of Nuisance Wildlife. Go to the New York DEC site here.